Standard Uk Plug to C5 (Clover Leaf or Mickey Mouse) plug. 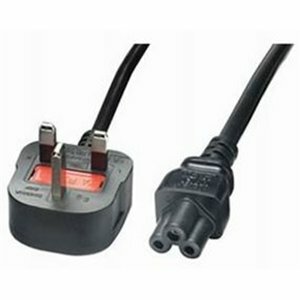 Used for powering Laptop Power supplies and other electrical equipment. Moulded 3 pin plug.